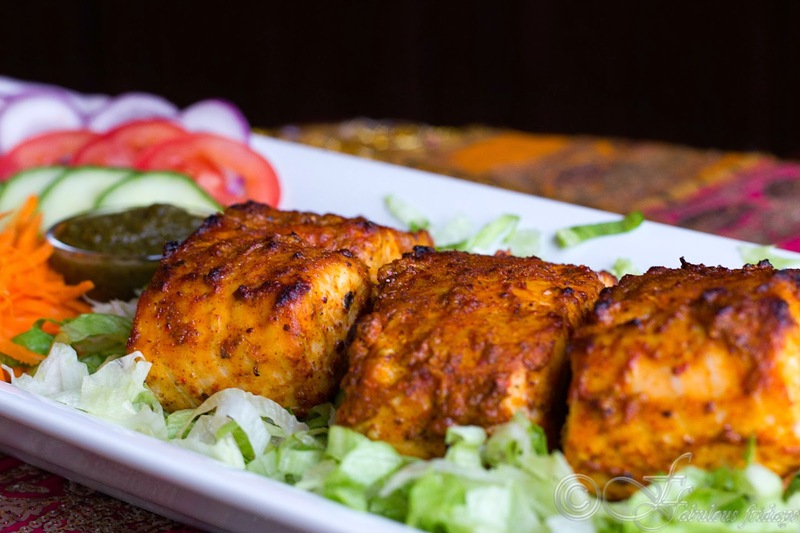 Crisp Tandoori fish, little crunchy on the outside and soft melt in the mouth on the inside. A fave in our house, this dish can be used both as a starter or a main dish. Just cut in small pieces and skewer them to get fish tikka for appetizer. I make my own Tandoori masala mix at home (recipe link given below) which gives an explosion of freshly ground spices and a reddish hue to the dish. You can also use the store bought masala for this. A small amount of gram flour in the marinade ensures a crisp coating around the fish piece and helps seal in the flavor of spices. Hung yogurt helps keep the marinade thick and not runny thus retaining the marinade more on the fish. Mix all the ingredients for the marinade and marinate the fish pieces for 3-4 hours. Grill for 7-10 minutes per side till cooked through. 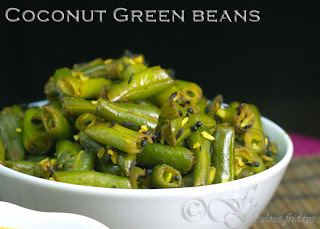 Serve with mint chutney and onion rings. 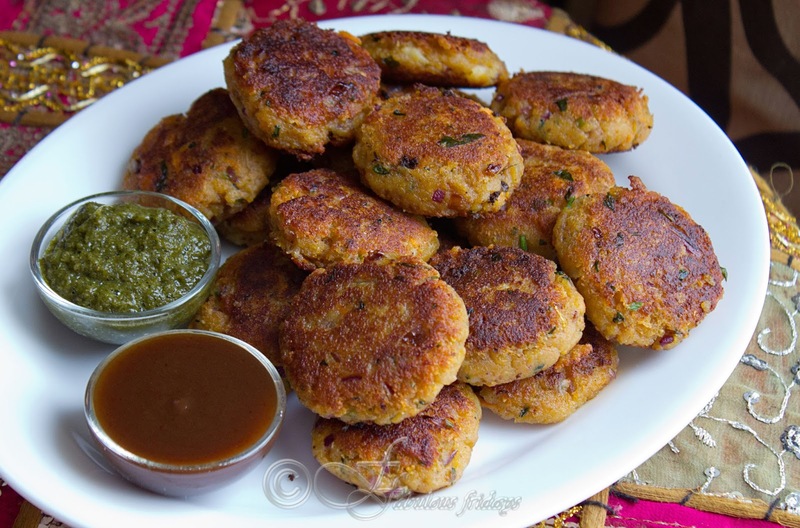 These mini paneer cutlets are super cute and super yummy. 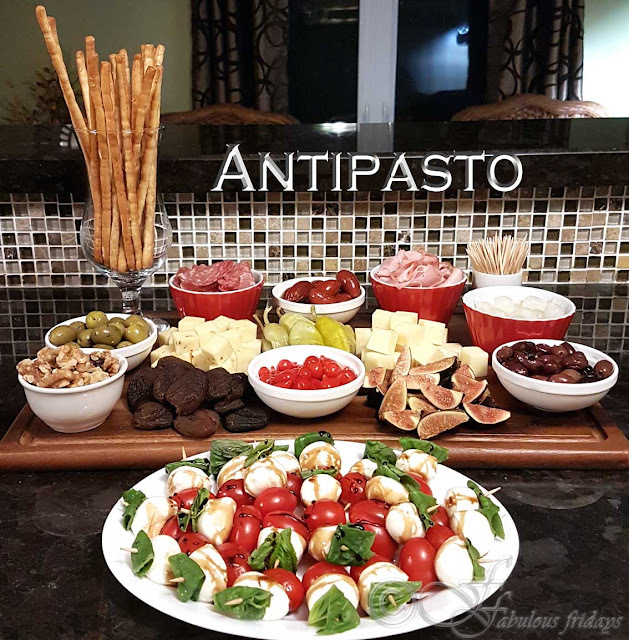 A great appetizer dish that you can make ahead. Make them bigger to use as a burger patty. 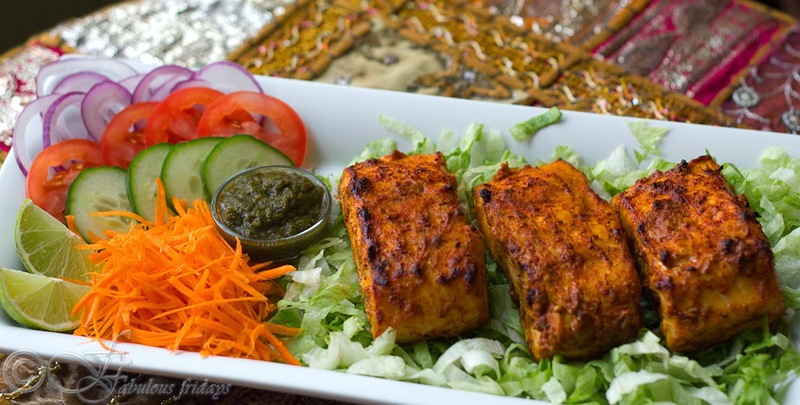 The main ingredient in here is grated paneer which constitutes almost 70% of the mix. Add a little potato to help bind the mixture. Apart from these you can add any veggie combination you like. Carrots, peas, beans, leeks, etc. Make sure to lightly steam or microwave cook the beans and peas before adding to the mix. This mixture is not suitable for deep frying. If you want to deep fry then add a lot more bread crumbs to ensure the cutlets don't fall apart in oil. You can also bake them. Spray with oil on both sides and bake at 425 F for 10-15 minutes per side. Grate the paneer in a large mixing bowl. Add all the ingredients and mix well kneading with your palm to form a smooth mixture without any lumps. If the mixture feels very loose then add some more flour and knead well. Form into small one inch rounds. Shallow fry on medium heat till golden. Turn over and repeat. 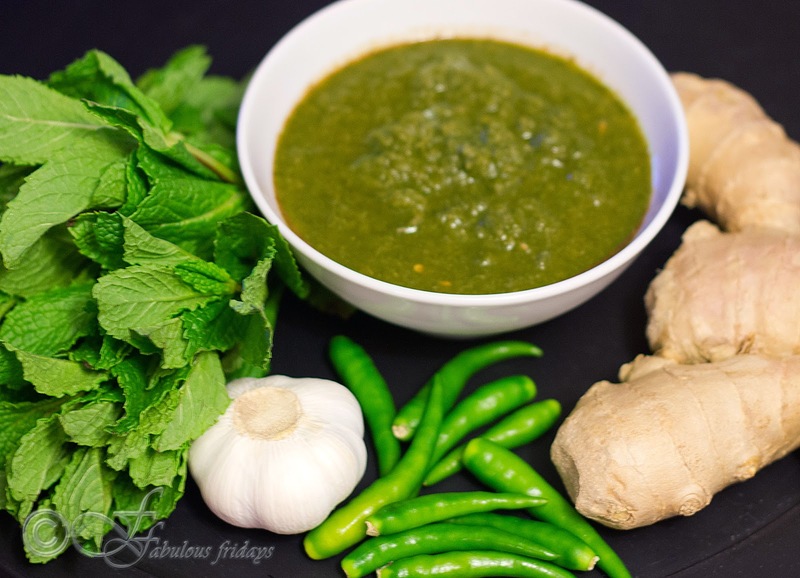 Serve hot with mint and tamarind chutneys. 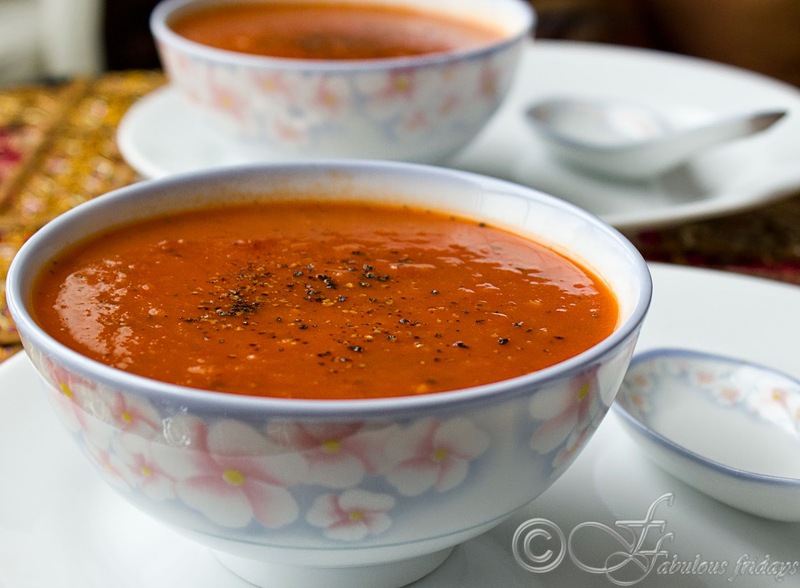 A big warm bowl of tomato soup has comfort written all over it. Prepare this at home with fresh tomatoes, tastes sooo much better than the canned variety. So ditch the can and chop the tomatoes for this heart warming comfort food. Serve with buttered toast for an excellent lunch. Blanch the tomatoes. Boil some water in a large pan, add the tomatoes and cook for 2-3 minutes. When you see some skins split open remove them with a slotted spoon into a bowl of cold water. Peel when cool and chop. Keep aside. In a large saucepan, heat the oil and butter over medium heat till the butter melts. Add the onion and garlic and cook, stirring occasionally, until soft but not browned, about 5-7 minutes. Add the flour and stir to coat the onion and garlic. Add the broth, tomatoes, sugar, thyme, and 1/4 tsp. each salt and pepper. Bring to a boil while stirring the mixture to make sure that the flour is not sticking to the bottom of the pan. Reduce the heat to low, cover, and simmer for 30-40 minutes. Discard the thyme sprig if using fresh. Let cool briefly and then purée in two or three batches in a blender or food processor. I used a hand blender so could do it in the pan itself. If it looks too thick you can add a little more simmering broth. Season to taste with salt and pepper. Serve hot, garnished with one or more of these - fresh herbs, dollop of butter, grated cheese, crisp croutons or a twirl of Crème fraîche. When the cold season refuses to leave, your upper respiratory system has a traffic jam and your body feels like it weighs a tonne, you want nothing more to do except wrap yourself in a big blanket and go to sleep. 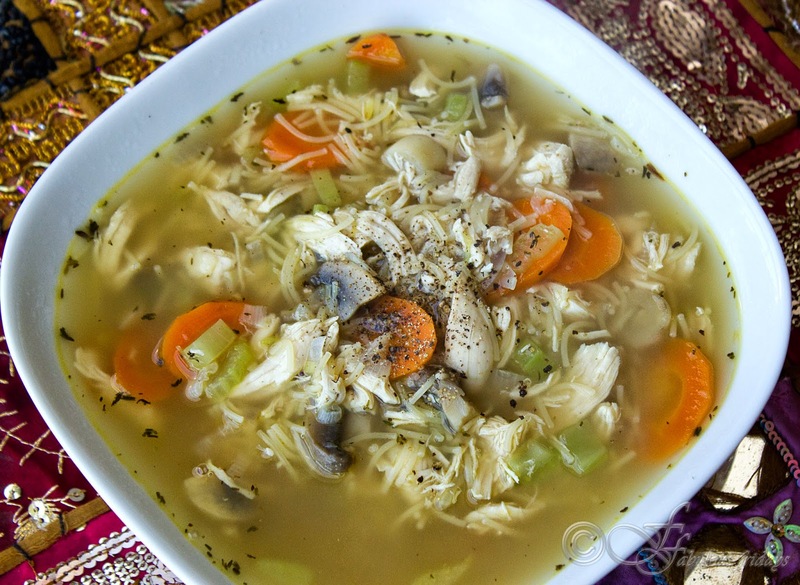 A comforting hot bowl of chicken noodle soup is a perfect cure for winter blues. Try this home style soup, a bowl full of seasonal veggies and chicken simmered in flavorful broth with a hint of thyme. Makes for a perfect lunch. Heat stock in a pan and add chicken, ginger and garlic. Bring to a boil and simmer covered for 15- 20 minutes till chicken is cooked through. Remove the chicken and shred into bite size pieces. Keep aside. Increase the heat and add the veggies to the stock along with bay leaves, thyme and salt to taste. Bring to boil and simmer covered for 5 minutes. Now bring to boil again and add the noodles. These will only take 2 minutes to cook. Remove from heat, remove and discard the bay leaf and add the cooked shredded chicken. Serve hot with freshly ground black pepper. 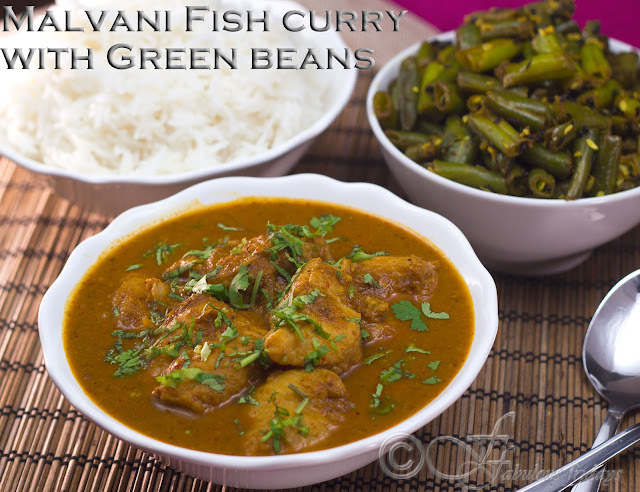 Malvani cuisine belongs to the Konkan coastal regions of Maharashtra, Goa and West Karnataka. The flavors are highly influenced by Maharashtrian and Goan cuisine. Being a coastal area, seafood dominates the food choices and there is liberal use of coconut. 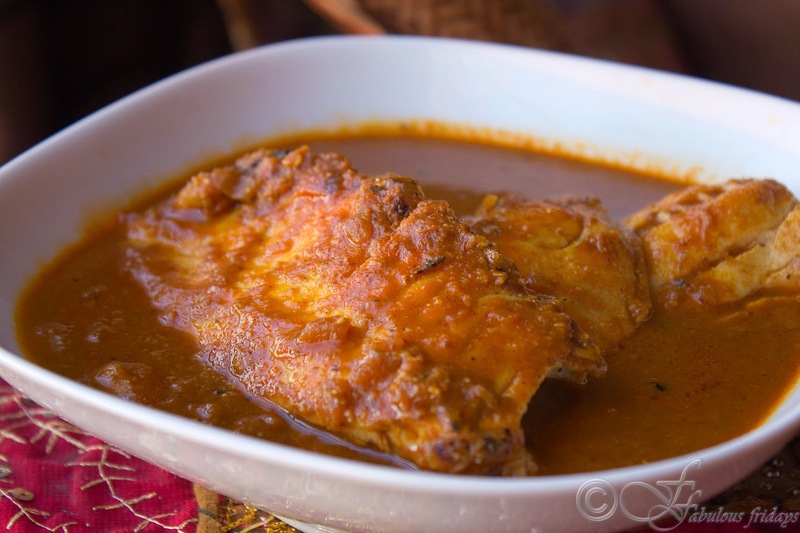 Malvani fish curry is a rich and spicy dish with loads of flavor punch. This uses a large quantity of red chilies to make it fiery and delish. Serve it with steamed white rice for an unforgettable Malvani dinner. Surmai is a popular fish used in India, but it is hard to find in Canada. You can use any firm fleshed fish instead (mackerel, tilapia, trout). Wash and pat dry the fish. Cut into 2X2 pieces, rub with some salt and turmeric and keep in the refrigerator till ready to use. Take 2 tbsp oil in a pan and add onion. Saute on medium till pink. Add the ginger garlic paste and continue cooking till onions turn golden. Add tomato and cook till you see oil at the sides of the pan. Now add the Malvani masala along with tamarind pulp. Continue cooking for 2-3 minutes. Add 1 1/2 cups of water and stir well to combine. Add salt to taste. Keep in mind your fish pieces are also lightly salted. Bring the concoction to boil and gently slide in the fish pieces. 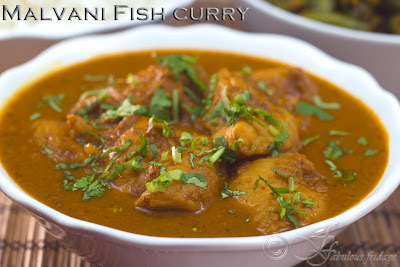 Continue cooking on high till fish is cooked through and gravy reaches the desired consistency. Heat oil in a pan and add mustard seeds, let them spatter for 5-7 seconds. Add hing, red chilies and urad dal and fry for a 30 seconds till dal becomes aromatic. Add curry leaves and ginger followed by chopped beans. All all the spice powders and salt and stir to mix well. Traditionally they do not use fresh ginger and coriander powder in this recipe, but I used it here. Reduce heat to medium and cover the pan. Cook for 7- 10 minutes stirring 1-2 times in between till beans are cooked through and tender crisp. Remove from heat and add coconut. Stir to combine and serve hot. 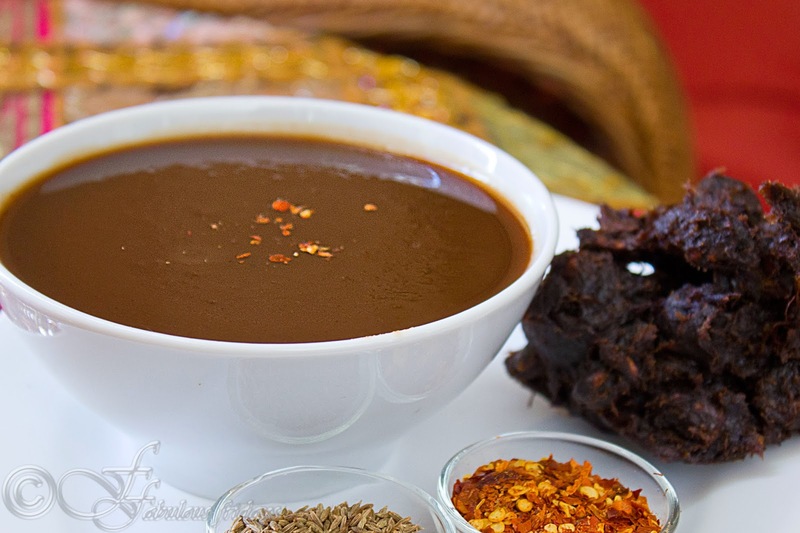 Malvani cuisine belongs to the Konkan coastal regions of Maharashtra, Goa and West Karnataka. The flavors are highly influenced by Maharashtrian and Goan cuisine. Being a coastal area, seafood dominates the food choices and there is liberal use of coconut. 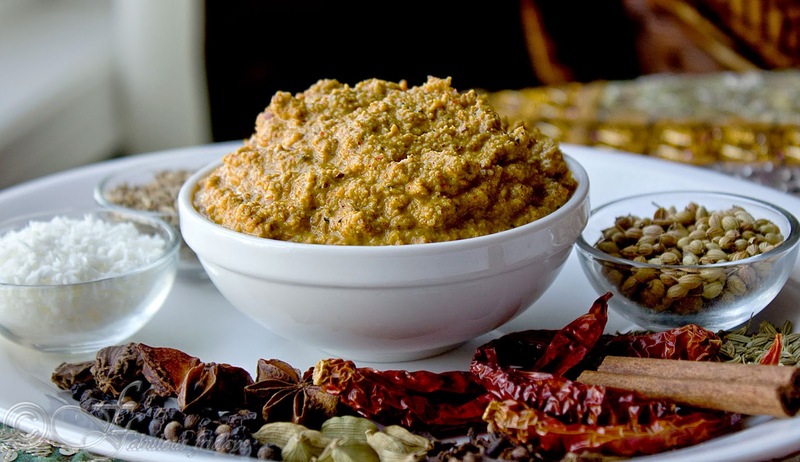 A number of spices and herbs are used in varied combinations and here is a standard hot and spicy Malvani masala to be used in a variety of both veg and seafood dishes. Dry roast all above till very lightly brown. Cool and add 1/2 tsp turmeric powder. Process in a grinder with water to form a smooth paste.